Absence of sensibility ia not an indicator of the performance improvement after hand surgery. Patients without sensibility displayed similar results as those with sensibility. This important information was reported by Wangdell and Fridén at the recent tetraplegia hand congress in Paris. In a study based on 47 individuals undergoing reconstructive hand surgery, it was demonstrated that also patients with no sensibility receive improvements in their prioritized performance goals similar to the hands with sensibility. 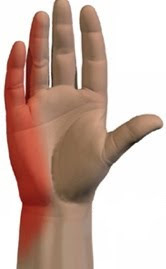 Therefore we suggest that patients with hands lacking sensibility should be considered as a surgery candidate since they gain from the surgery to the same extent as those with hands with some sensibility. A hand without sensibility is more useful with a grip than without.